A beautiful newsletter is published five times a year. Current and back issues may be viewed here and in Facebook. Print version is mailed to LVBHS members. A DVD, brochure, and two books are available to the general public and to our members. 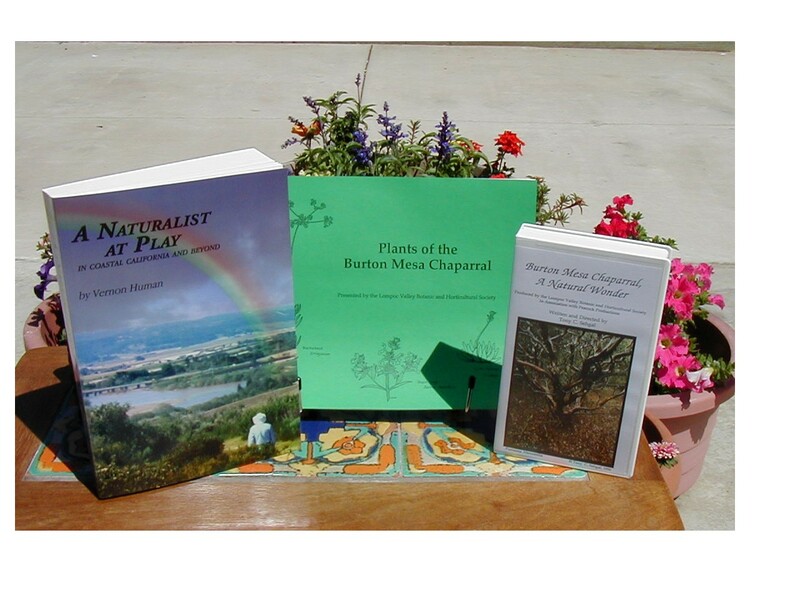 This is a 38 minute DVD "Burton Mesa Chaparral, A Natural Wonder" by Tony Segal. It is available at the Lompoc Public Library, La Purisima Mission State Historical Park, and the Lompoc Museum. 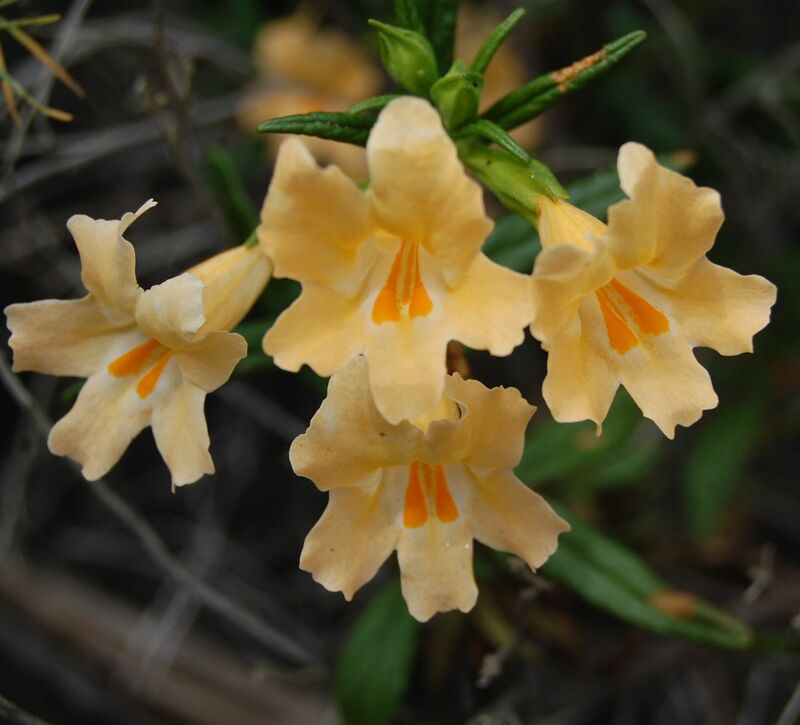 Our second publication is titled "Plants of the Burton Mesa Chaparral" and is available to visitors at the Chaparral Botanic Garden located on the Lompoc campus of Allan Hancock College; enquire at the college office. We published a 488 page anthology (2004), A Naturalist at Play In Coastal California and Beyond by Vernon Human. This collection of vignettes, anecdotes and literary sketches is written for every level of nature enthusiast. In Santa Barbara it is available at Chaucer's,The Book Den,the Santa Barbara Botanic Garden and the Museum of Natural History. At Lake Cachuma County Park it is on sale at the Nature Center. In Lompoc it is available at The Book Store and the Lompoc Museum. In Solvang, the book can be found at The Book Loft. Morro Bay State Park carries the book at their Museum. 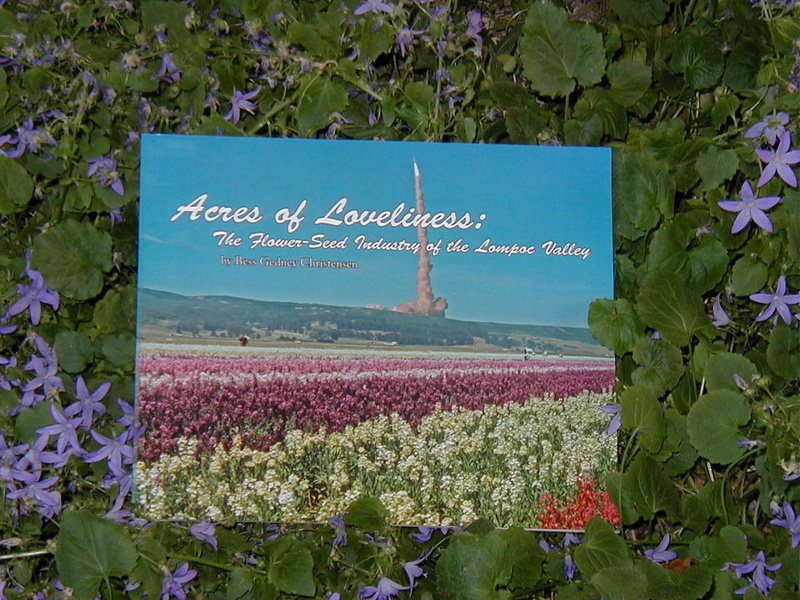 Our other book (2006) is Acres of Loveliness: The Flower-seed Industry of the Lompoc Valley by Bess Christensen. It is available at The Book Store and the Lompoc Museum, all in Lompoc.The village of Solvang has it at The Book Loft. In Santa Barbara this publication can be purchased at Chaucer's and The Book Den.